Final day, Summer 2015 work session. Hours of work: To be determined. This four day work session will include creative training in the basic elements of the actor’s craft: physical exercises, voice work, attention and perception, precision and flow, seeing, listening, meeting, and devising. Participants will engage in personal research and intensive physical work. Application: Send a resume and a short letter of intent, detailing why you would like to take part in the workshop, to nwplab@gmail.com. Only 15 participants accepted — College credit may be available. This fee does not include travel, housing or food. For out of town participants, NWPL will help you locate accommodations. Performance Ecology is more than a workshop; it is a performance event that encourages the task of creating culture—hands on. Jairo Cuesta and James Slowiak have fashioned a structural tool that builds community and compassion while exploring the participant’s individuality, creativity, and cultural dignity. This field of research, conducted by Cuesta and Slowiak, investigates the interdependence of a variety of stimuli available to the actor. Their research developed into a flow of detailed exercises, songs, dances, texts, and creative work—all of which serve to reclaim the performer’s vital forces and capacity for contact. Performance Ecology is an exploratory structure that serves to develop the actor’s physical, emotional and imaginative resources. As the participant struggles to remember, to reveal, to accomplish, and to create, s/he fights for mastery of the body and voice, vitality, and purpose. Participants express themselves in patterns of voice and movement. Performance Ecology seeks to liberate the dormant energy and creative impulses in the participant/performer—in solitude or in company, with the space and with the partner. The work sessions in Performance Ecology are designed around the rudimentary performative elements concerning one’s humanness and relationship with the physical world. 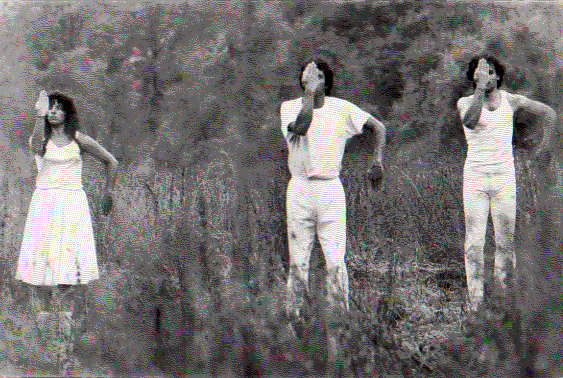 Through work with songs from the Shaker culture and other traditions, exercises in coordination, individual actions, structured improvisation, dramaturgy, and montage, the work sessions often culminate in a Rendering that provides the opportunity for each participant to engage in the dynamics of performance.